Format: Two best-balls of the foursome where ONE GROSS and ONE NET ball is counted on each hole (each score must come from two distinct players). Prizes will be awarded to the winner and runner-up teams. You may register as a single, or bring up to four players. We will create foursomes as needed. 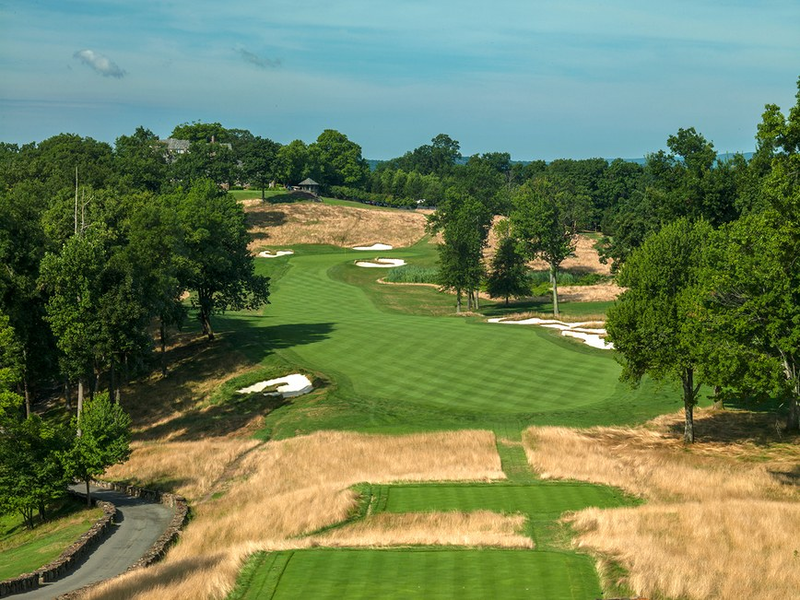 Built in 1996 on the site of a long-lost 1920s nine-holer known as Hessian Hills, Hudson National is a big budget Tom Fazio design occupying high ground less than a mile from the Hudson River. An impressively scenic layout, it demonstrates the usual Fazio spit and polish, yet is also somewhat less manufactured than many of his larger projects; indeed, only a single man-made water hazard appears (affecting two holes) and earthmoving was relatively limited. Hudson national is one of Fazio's stronger works. Golf Digest ranks Hudson National as the 85th best course in the US and as the 12th best in New York state. Event fee to include: lunch, green fee, base caddie fee, alcohol throughout the day, driving range, locker, and scoring, passed/stationed appetizers following golf, awards tee gift and fees. Caddie gratuity is due the day of play and the suggested fee is $20.00 per person. 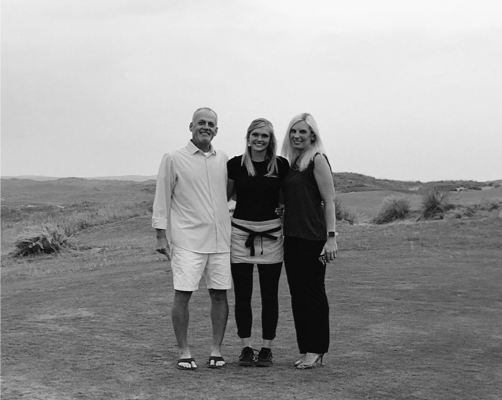 Steve Sears, Board Member (Left), Brenna Schafter, 2017 Recipient (Center) and Melissa Bellomo, Board Member (Right) at Ballyneal.